We live at a time when the science of medicine has largely laid bare the underlying causes and remedies for the most common diseases and illness effecting human beings. We understand the nature of heart and cerebrovascular disease, lower respiratory infections, malaria, and even HIV/AIDS. Despite this fact, these categories of disease and illness continue to be the most common causes of death in the Global South. Technological and medical innovations have sprung up over the last decade at an amazing pace to combat various aspects this of issue, but its root cause still boils down to one concept; the availability of healthcare. The problem begins with a massive human resources shortfall. The WHO estimates that the current workforce in some of the most affected countries in sub-Saharan Africa would need to be scaled up by as much as 140% to attain international health development targets. The problem is so serious that in many instances there is simply not enough human capacity even to absorb, deploy and efficiently use the substantial additional funds that are considered necessary to improve health in these countries. Dr. Madu raises a very salient point; if better facilities and infrastructure existed, the situation in the Global South probably would be greatly improved. It's hard to imagine bright young professionals turning down the opportunity to work in cutting edge facilities operating in their own communities. The problem then is largely due to inadequate investment. The construction and maintenance of medical facilities can be hugely expensive, and the financial impetus falls largely upon governments to draw plans based on their populations needs and provide adequate funding. Some voices have suggested that perhaps an entirely new model for healthcare funding in Africa is what is truly needed. 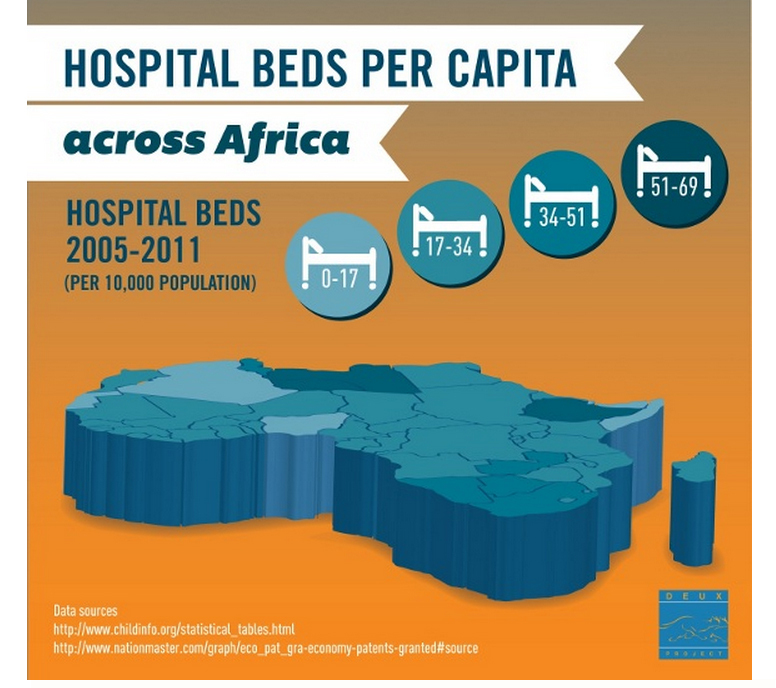 There has been an investment explosion into African economies in the last decade, but Healthcare investment in Africa continues to lag well behind other sectors. Of the $12.8 billion the World Bank spent globally on health between 1997 and 2007, only $600 million was available for the private sector, and out of that, just $12 million was available specifically for Sub-Saharan Africa. While those numbers do not represent healthcare investment in the private sector as a whole, they do provide context for the investment imbalance at hand. There is little private investment and/or risk capital available for most of Africa, and this problem can only be address through the adoption of a new investment model for the region. 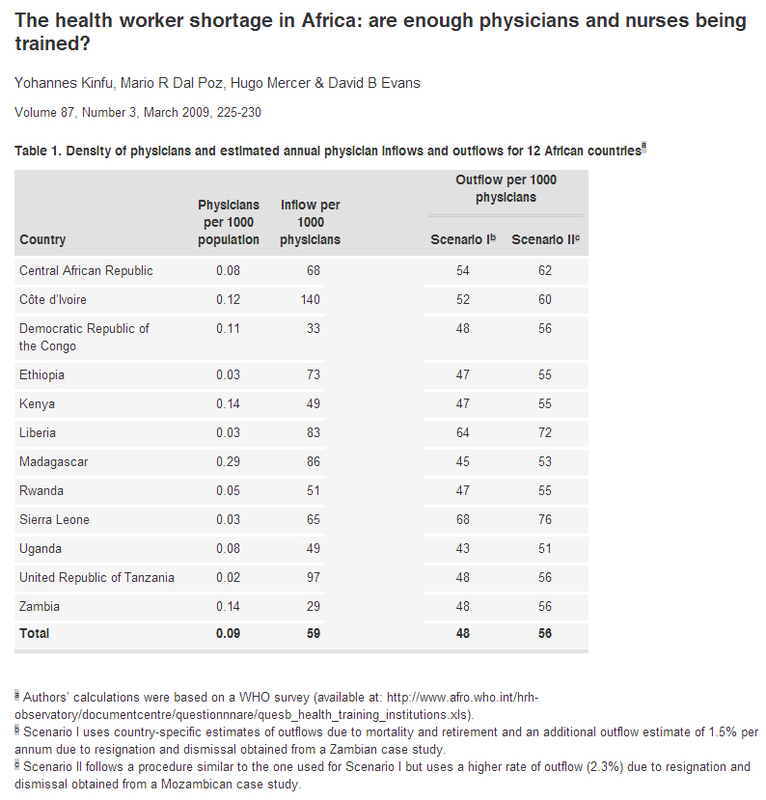 With an increased focus on training and retaining skilled physicians in cutting-edge medical facilities, and a shift in the investment model driving medical industry growth, health indicators in Africa can be significantly improved in the next decade. Its a great mission, and one heck of a market opportunity.